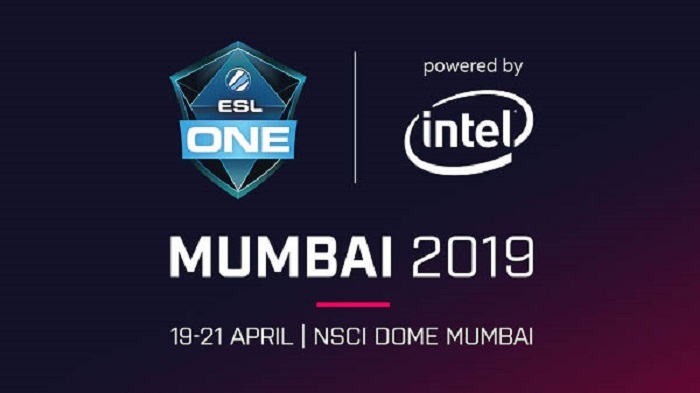 ESL and NODWIN Gaming have announced the debut of ESL One powered by Intel in Mumbai, India on 19 to 21 April 2019. With a capacity of up to 8,000 seats, the NSCI Dome is well designed to host large scale entertainment and sports events, serving as a fitting new home for ESL One Mumbai 2019. Twelve of the best Dota 2 teams will battle over a lion’s share of the $ 300,000 prize pool and the coveted championship trophy at India’s first Dota 2 mega event. ESL One Mumbai 2019 will host seven directly invited teams and four teams that need to fight their way up through the online qualifiers, which are set to take place in the regions Europe, North America, Greater China and Southeast Asia. Additionally, a local qualifier will be held in India to find the last participating team among India’s best. Eight out of the twelve teams taking part in the group stages on 16 to 18 April will get the chance to play on the big stage in front of thousands of enthusiastic Dota 2 fans. “We can’t wait to bring ESL One to a completely new location – especially since this will mark the first big Dota 2 tournament in India.We see great potential in the Indian esports market and are looking forward to further foster the growth of the local scene together with our partner NODWIN Gaming ”, said ESL senior vice president of product Ulrich Schulze. “ESL One commands global reverence in the world of esports and for India to play host to this event is indeed a landmark for the country’s esports history.NODWIN Gaming has firsthand experience of the passion of the Indian Dota 2 community over multiple years and this is our gift to them – to come and meet the best Dota 2 gamers of the world at ESL One Mumbai 2019 ,” said NODWIN Gaming managing director Akshat Rathee. “As the technology leader for esports and gaming and ESL’s Global Technical Partner, Intel is looking forward to delivering a world-class gaming experience to Dota 2 fans in India and around the world, at the inaugural ESL One Mumbai 2019,” said Intel India managing director – sales and marketing group Prakash Mallya. Besides the tournament, ESL One Mumbai 2019 will feature an array of exciting activities including ESL One’s famous Dota 2 cosplay competition and opportunities to interact with teams and pro players. Tickets for ESL One Mumbai 2019 will go on sale on Thursday, 17 January at 3pm (IST), and will range from Rs. 499 for Single Day tickets up to Rs.2,499 for Premium tickets. Further details on each available ticket type can be found here.